Egyptian-born Nadia Thibault was 23 years old when she came to the United States to escape the war in Lebanon and find a better life. She’d studied at a French esthetic school in Beirut, so upon arriving in the States, she was able to hit the ground running. 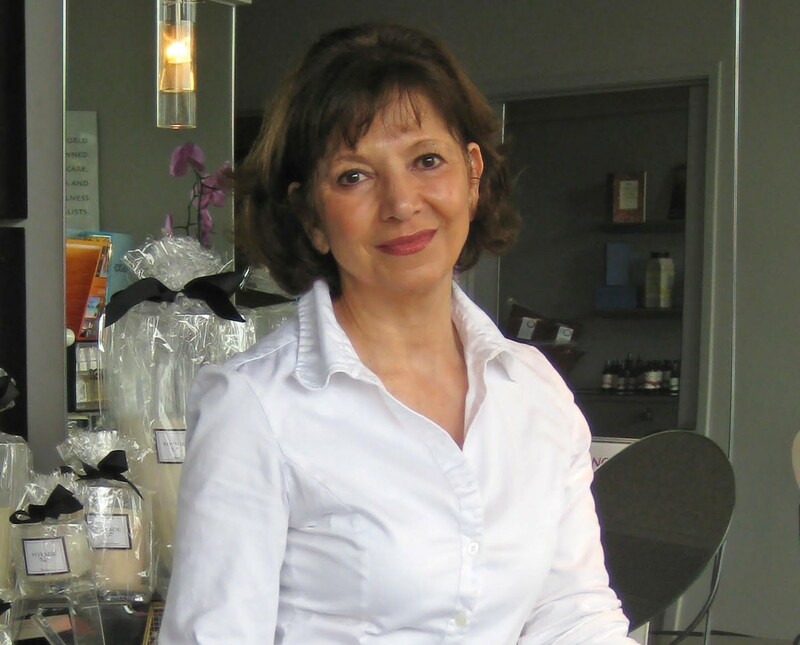 30 years later, she has become one of the most sought-after estheticians in Los Angeles, specializing in the European tradition of treating the face, body, and spirit. But after surviving the trials of her youth, Thibault faced her greatest battle yet—breast cancer—all the while running a business and parenting her teenage daughter, Sabrina. Tell me the story of getting Sabrina. I got married when I was 26. We were married 16 years when we divorced. We couldn’t have a baby so we went to a Catholic adoption agency and waited about two years. When we got Sabrina in our hands, it was 1990, and she was five weeks old. We divorced when she was four, so I was a full-time single mom with a full-time job and four-year-old child. What was your cancer diagnosis experience? I had a lump in my breast. I denied it because I am the healthiest person in the world, but it got bigger and bigger. I walked around with it for three months. I went to get a mammogram to check it out and they did the biopsy right away. By that time it was stage two cancer because of the size. A friend did me the biggest favor in the world and got me the best surgeon at the City of Hope National Medical Center: Dr. Benjamin Paz. He did a lumpectomy then put me in the great hands of my oncologist Dr. Stephen Forman. Dr. Forman oversaw my seven rounds of chemo, once every three weeks. Then I had 38 rounds of radiation. I lost all my hair, my brows . . . but the hardest part was the tiredness; not being able to work and needing people to drive me around. I had an extra room at the salon, so I’d lie down between clients, and I worked all the way through my treatment. I had to. But some days I had to cancel. Three days after chemo would be the hardest time. But everybody was so great. My clients were wonderful. How old was Sabrina when you were diagnosed, and how did she take it? She was around 16 and in 10th grade. She was pretty angry, but she was also in full-blown teen mode. It was tough for her to have the attention on me, like any teenager. Let’s just say it wasn’t pleasant. How were you able to care for yourself while working and parenting? It was very, very hard. I had to learn to ask for help. If it were a holiday or something, I’d ask people to take Sabrina for a couple days so I could have a break. She didn’t drive, so I would take her to school in the morning, and I hired someone to pick her up and bring her to my work. She would hang out, do her homework, and visit with clients. Those were our happiest times. My ex took Sabrina as much as possible, but being sick and raising a teenager at the same time was very difficult. Finally my brother stepped in and got my ex to take her full time for a while, and she would come to visit me. The important thing I’m trying to get across is to ask for help. People were amazing. My clients, friends, and family—they all stepped up—so don’t feel like you have to do it all yourself. Where do you feel you fell short or excelled in this experience? I learned to take care of me. Breast cancer is a sign of not nurturing the self, and I was malnourished. I was absolutely on overdrive of giving, giving, giving to others and not stopping, relaxing, and giving to myself. But it was all my doing. I didn’t say “no” and I didn’t ask for help. I learned to stop and think of me more often—even with regards to my child. What supports were in place for you? I have to give a lot of credit, 60% of the help I got was from City of Hope. I didn’t do support groups or massage or acupuncture. Time was always an issue. Massage wasn’t advisable for me. I did go to a healer who does “body talk” and she helped me tremendously. But I followed the doctor’s advice as much as possible. I was skinny before I got sick, but I didn’t eat enough and I smoked. When I got the cancer, I had to quit smoking so I gained weight. Weight wasn’t a problem. The problem was the nausea. I am one person who can’t throw up! I feel absolutely wonderful. I was just at the City of Hope ten days ago, and I had the most amazing results. They were very surprised at how well I am doing; I am better than before. What’s your favorite solo parenting trick? Every stage Sabrina went through was so amazing. We did a lot of reading in both English and French—mostly French. We had our own games in the car, but the best trick was bringing her to work; she would do her homework and stay out of trouble. We were together. She was happy. We would love to hear about your experience as a cancer-fighting Solo Mom. Please write to medical@esme.com. And become a Sister to connect with other Solo Moms with cancer.